Navy blue lehenga set designed by Astha Narang at AASHNI+CO. 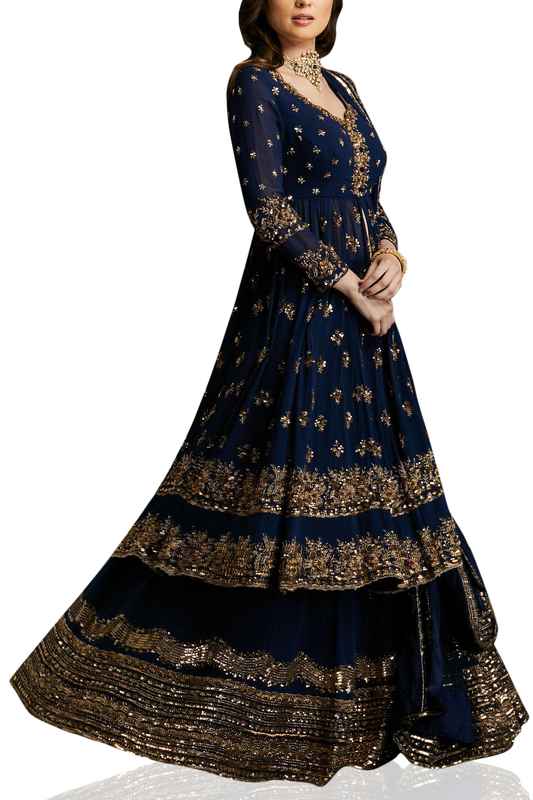 Astha Narang designs a perfect pick for the contemporary bride featuring a navy heavy embroidered anarkali style jacket paired with a lehenga with gold embroidery and a dupatta. Style the look with gold juttis and a statement potli bag.